« Coming Soon! Stampin’ Up!’s Holiday Extravangza! My friend Tracy had her baby last week, so of course I had to make her card. 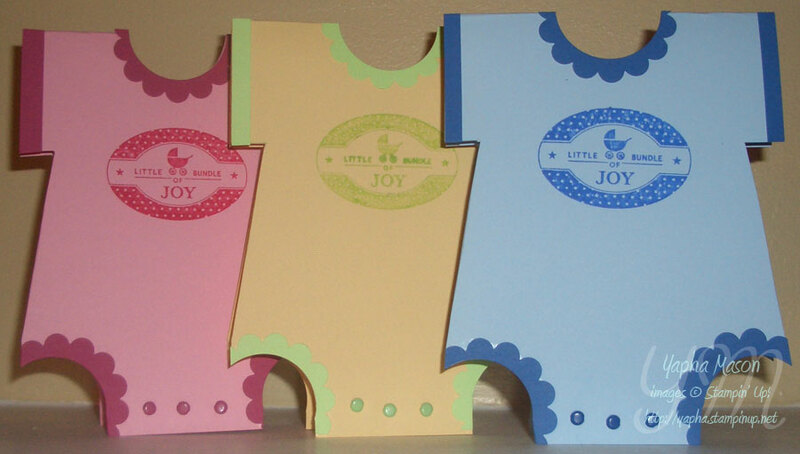 My favorite baby card design was created by Lauren Meader. 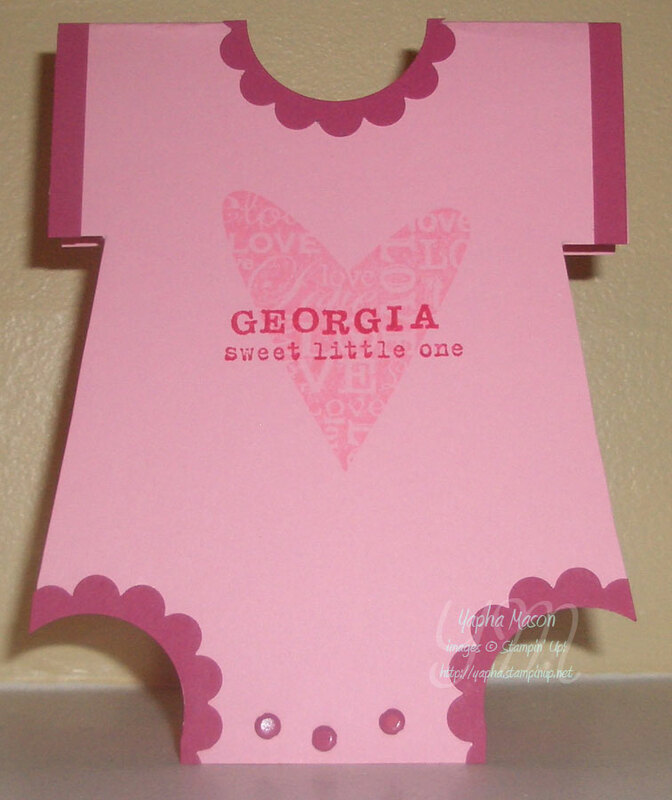 It is a card that looks like a baby onesie! Lauren has great tutorial on her blog that shows how to make them. As long as I was make a onesie card, I decided why not make a few more? I used the stamp from Punches Three (which you can earn for FREE since it is a hostess set! Ask me how!) and switched the colors around to make one for girls, one for boys, and one that is gender neutral. Happy new baby, Tracy! Sending you big hugs!